Many of my vocal students are preparing for a career in performance and are planning to apply for (or are already studying at) a further education establishment. Planning for your singing audition is important. There are so many applicants for a college to choose from so check all the tips below to ensure you are prepared and that you have the edge. Too many applicants are underprepared. Understanding the process will give you a vital insight into how to maximise your chances of acceptance. 1. CHECK YOUR AUDITION INVITATION LETTER AND ENSURE YOU HAVE THE FOLLOWINGS INFO – Address of audition, date and time of audition, audition requirements (i.e. number of songs, song style, number of bars required etc.) If you are auditioning for a number of colleges, make sure the details are not confused and you are correctly prepared for the right audition. Plan to arrive at the audition early. "Make a folder for your audition letters and arrange them in 'DATE OF AUDITION' order." 2. CHOOSE SONGS THAT YOU DO WELL – It sounds obvious but make sure the songs show off your best vocal attributes without being a stretch. Struggling and reaching for a high note is not impressive – hitting notes with confidence and control is. Songs that you do well may not necessarily be your favourite songs but remember that you are demonstrating what you do well and not your wonderful taste in music. 3. PICK RELEVANT MATERIAL – Choose your songs based on the style requested and the relevance of the piece to you (i.e. age appropriate, something you can relate to) Do some research to ensure you understand the context of the song and the style. Avoid songs that you believe everyone else will do – no matter how well you do it - Defying Gravity from Wicked is a very good song but will have been heard so much in audition that a singer can be at a disadvantage before the intro is over! 4. WHAT ARE YOU SAYING? - Give your songs character and meaning. Compare your singing to a conversation – are your tones, placement and delivery highlighting the emotions? Simple volume changes can create huge emotional hooks. 5. BE PREPARED TO GET TECHNICAL – You may be asked about your song and your approach to it. If you have correctly planned your audition you will be able to talk about the elements you wanted to show off. "Remember my Warm-Up CD or MP3's works every performance element so use the tracks as a checklist for your technical approach! - GET IT HERE "
6. BE MUSICALLY LITERATE – Understand the basics of music theory so that you can interpret the dynamic markings, speed, key and general flow of what you are presenting. "If you don't have a teacher - visit www.mymusictheory.com for FREE online music theory lessons!" 7. PRACTICE – Know your pieces well so that you can be confident. Mark your practice lyric sheets/music with your own notes so that every part is planned and shaped to be exactly how you want it. Keep recording/filming yourself practice so you can hear what works and what doesn’t. A well-planned piece gives you the freedom to be confident. Your planning will be evident in your performance and will be further evidence that you would make a great student! 8. WARM-UP – With the excitement of getting to the audition, many candidates forget to warm-up. Plan your warm-up and schedule it into your day. Don’t let your hard work get wasted by auditioning with a voice that is not fully ready to impress! 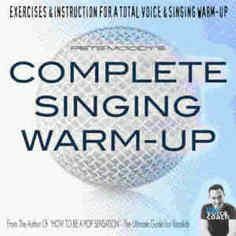 "My warm-up CD or MP3's will help you reach safe, optimum voice quickly GET IT HERE"
9. PREPARE YOUR MATERIAL IN THE CORRECT FORMAT – Some colleges ask for a backing track on CD or MP3 player whilst others may require sheet music. Check CD’s on a variety of players to ensure they play and perhaps even take a spare. Ensure your mp3 player is ready to play so that you don’t have to sort through your playlists at the audition. If sheet music is required, then it should be single sided print joined with sticky tape on one side so that it can be laid out on the piano (5 sheets or less). If your music is more than 5 sheets then it should be presented in a 4-ring folder, double sided (like a book) and in MATTE finish pockets. Regular shiny plastic pockets can cause glare and make the music difficult to read. If you are performing a section of a song, then your sheet music should be clearly marked so that the pianist knows where to start and finish. Backing tracks should be tastefully cut to start at the correct point. Remember that if you are asked to sing a section or specific number of bars this does not need to be from the start – for example, you may decide that the best section of the song may be near the end and so the bar count can start from that part. "Did you know you can buy backing tracks from Amazon and iTunes? You can also listen to a sample before you buy to check quality and key. Sheet music can be purchased online for you to print at home - this saves money as you don't have to visit a specialist shop or buy an entire book. There are many digital sheet music suppliers inc. www.musicnotes.com, www.sheetmusicdirect.com, www.musicroom.com"
10. BE POLITE AND INTRODUCE YOURSELF – Unless otherwise instructed, tell the panel who you are and what you are about to sing. Let them see your personality. To get a good idea of course content and find out how to apply, check the website of your chosen school or college. Most of the major establishments in the UK are listed below in alphabetical order. 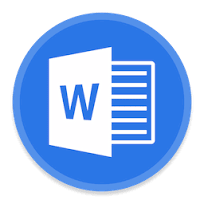 "You can download this list by clicking this Word document icon "